Upon his departure from Swarthmore this summer, President Alfred H. Bloom will have served the College just one year less than any president in its history. (Frank Aydelotte and Joseph Swain each served 19 years.) 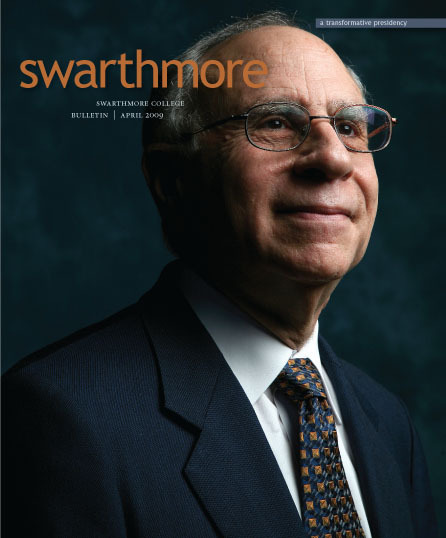 Future historians of Swarthmore College will surely see his 18-year tenure as a time of institutional transformation—when the College’s core values were challenged and recalibrated. 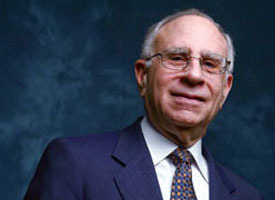 Given the length of his association with the College—which included 12 years on the faculty and a stint as associate provost before moving to Pitzer College in 1986 as vice president for academic affairs—it’s not surprising that a multitude of changes have occurred. The more interesting question is: What is it about Al Bloom and his presidency that allowed it to thrive for almost two decades? The Chester Children's Chorus began in 1994 as the Chester Boys’ Choir, with seven boys. Having sung in the Newark (N.J.) Boys Chorus as a youth, Alston wanted to create a similar experience for boys in Chester, so he went to the Columbus Elementary School looking for boys who liked to sing. On Saturday mornings, he drove a borrowed College van to Chester to pick them up at their homes and bring them to campus. 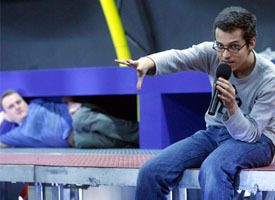 “Skyscrapers and emptiness,” says Polish theater director Michal Zadara ’99, as he sits across the table from me, smoking a slim cigarette and gesturing pointedly at the Warsaw skyline outside the cafe window. I think I understand what he means. There is a disconcerting sense of unoccupied space at the heart of the city, amidst all the bombastic Stalinist architecture and modern glass hotels strewn awkwardly around the train station. Becky Botsford seems to live the average life of a 10-year-old girl. She has moderately clueless parents, an annoying younger brother, a pet monkey, and a secret. 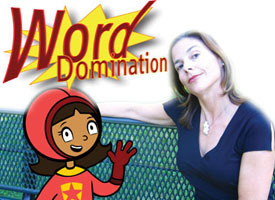 When trouble arises, Becky becomes WordGirl, a superhero with super strength, super speed, and a super vocabulary. Last year, the Philadelphia City Council passed a bill requiring the licensing of tour guides in the historic area of the city. The legislation created a requirement for guides to be periodically tested on their historical knowledge. I’ll never forget the Saturday in December 2000 when the Board of Managers decided to end Swarthmore’s football program. A colleague called from campus and said, “You’d better get up here.” That evening, I covered a protest on the steps of Parrish Hall and saw Coach Pete Alvanos weeping as he stood at the microphone. A couple of hours after Barack Obama had been sworn into office seemed to be a more-than-appropriate time to be interviewing George Lakey, a lifelong activist for peace and conflict resolution and civil rights through nonviolent means. There’s a saying that “sailboat racing is hours of incredible boredom, interrupted by moments of stark terror.” Despite this assessment of the sport, Arlene Dannenberg Bowes ’72 is undeterred.